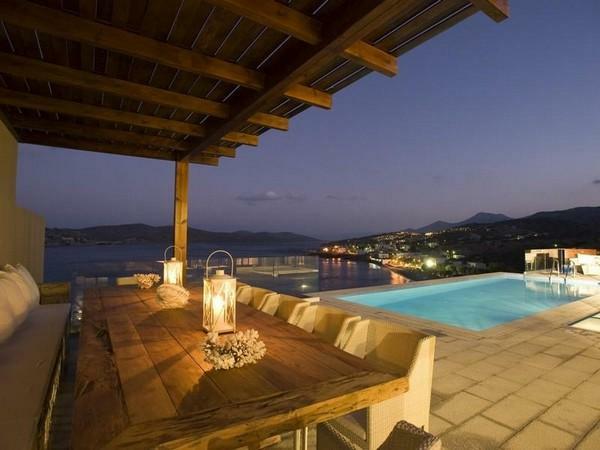 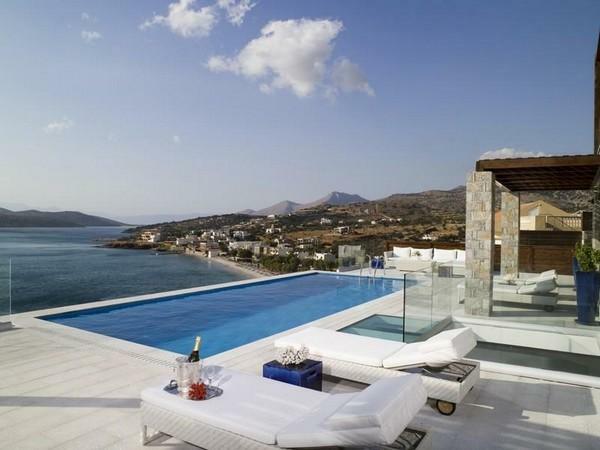 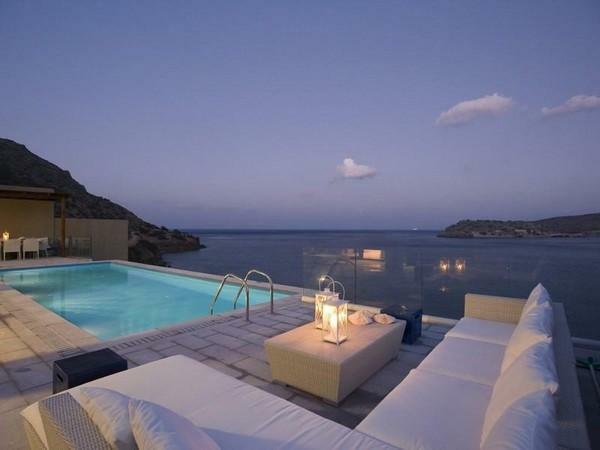 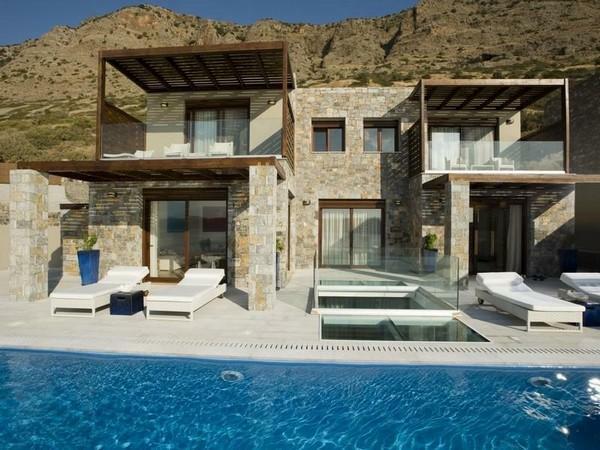 Blending traditional architecture with the latest trends in comfort, Elounda is a fascinating villa located on the northern coast of the island of Crete, in Greece. 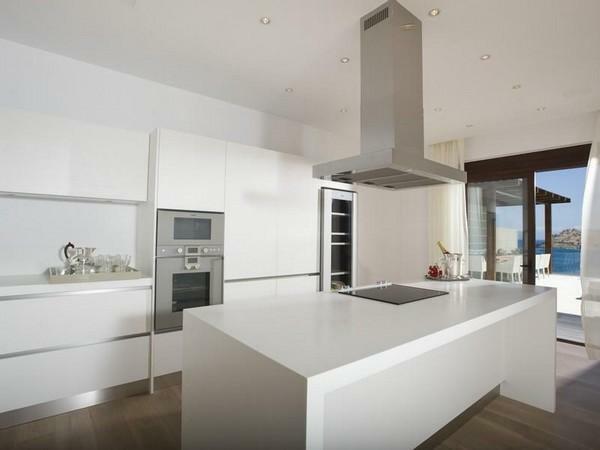 With a total living area of 420 m2 / 4521 Sq Ft., this residence consists of no less than four bedrooms, four and a half bathrooms, two kitchens, one housekeeping room, elevator, gym and sauna. 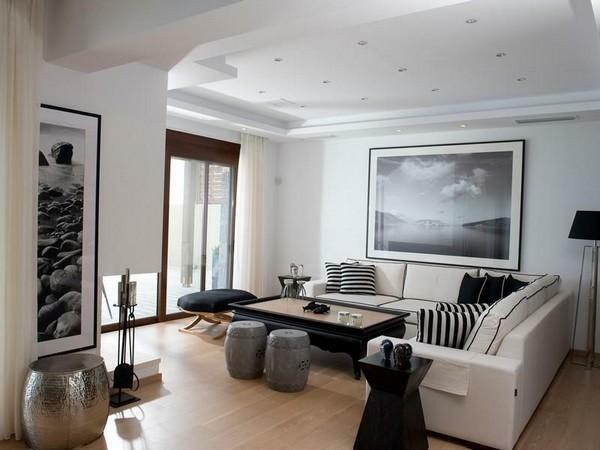 It has a total of three floors and the first level accommodates a lovely central garden. 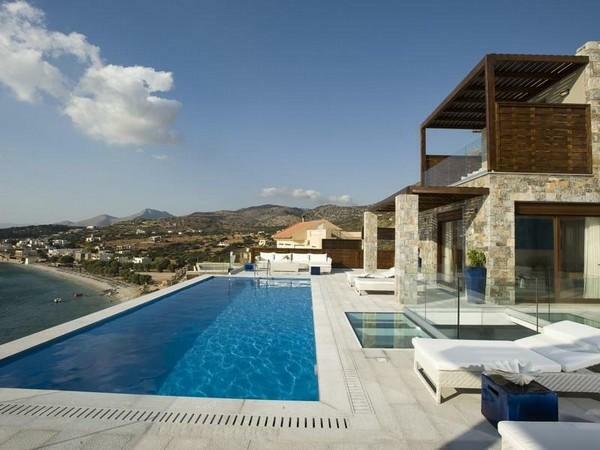 The house faces a generous pool and is just steps away from the beach, which gives it a special holiday feel. 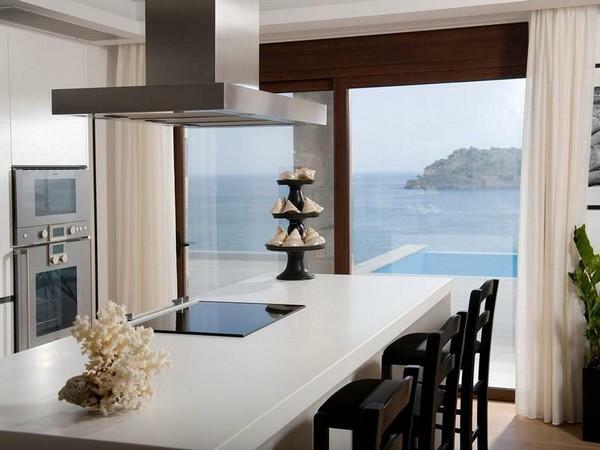 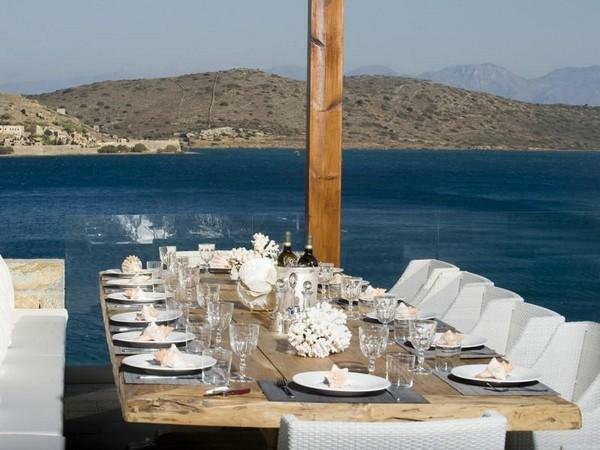 A large dining table with amazing sea views seems to call out for guests. 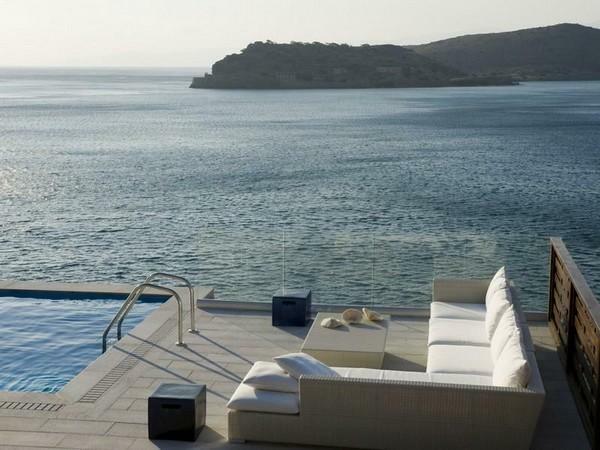 Moreover, a relaxation area was designed outdoors, composed of appealing furniture arrangements, perfect for laying back and enjoying the sun rays.